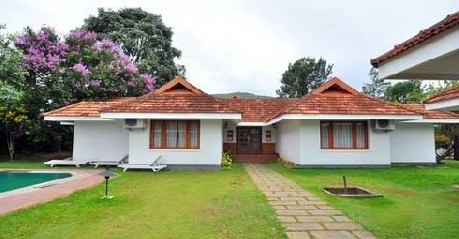 Hotel Silver Crest Periyar is a three star hotel that is situated at the Thekkady which is famous for its wildlife sanctuary where you will find a rich flora and fauna and the birds. The wildlife sanctuary is situated around the Periyar Lake and you can have the glimpse of animals when you cruise through the lake. 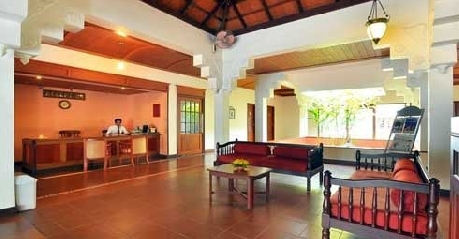 The hotel is built in traditional Kerala architecture called Nalukettu. Hotel Silver Crest Periyar is part of Sealord Group of Hotels, a renowned name in hospitality industry for more than four decades. For the guests it offers three kinds of accommodation namely Deluxe Room, Executive Room and Suites. The hotel has a multi-cuisine restaurant to provide the guests with exotic dishes. Apart from these, the hotel has a swimming pool, indoor games, Additional Kitchen facility, Conference Hall and arranges for sightseeing, trekking, boating and plantation visit on request. The hotel ensures in every way that it provides its guests a luxurious accommodation with all modern facilities. 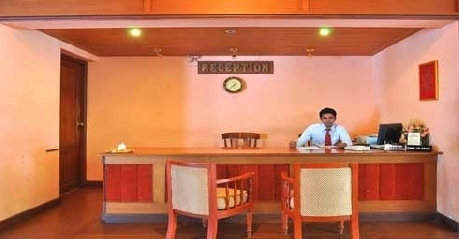 Thus, the hotel is ideal for both business as well as leisure traveller alike. 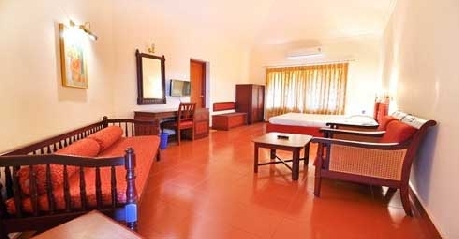 These are the standard rooms that are elegant, well furnished and well maintained. These are ideal for those who look for a lavish accommodation. 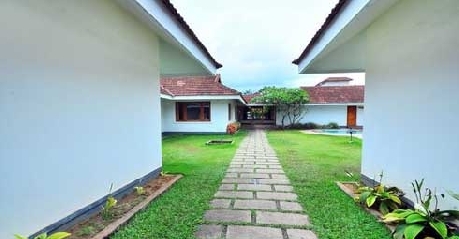 The rooms come with amenities like attached bathroom, shower cubicle, 24 hrs hot/cold water, 24 hrs room service, housekeeping, laundry/dry cleaning, safe deposit lockers, air conditioner, internet, tea/coffee makers, television with satellite connection, telephone with direct dialling, and many more facilities to facilitate the stay of the guests. For sure you will enjoy your stay in deluxe rooms of this hotel. The well adorned, luxurious and spacious rooms are ideal for those who are looking for luxurious accommodation. 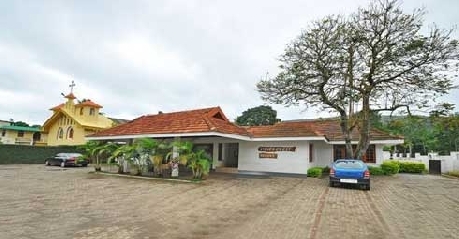 The rooms also are provided with amenities like shower cubicle, attached bathroom, 24 hrs room service, 24 hrs hot/cold water, laundry/dry cleaning, housekeeping, air conditioner, safe deposit lockers, tea/coffee makers, internet, telephone with direct dialling, television with satellite connection and much more facilities so that the guests can enjoy their stay. These inviting rooms combined with excellent services offered by the hotel will make you to enjoy your stay. The suites are ideal when you travel with your family as they come with a living room and a separate bedroom. They are equipped with all modern amenities some of which are 24 hrs room service, attached bathroom, shower cubicle, laundry/dry cleaning, 24 hrs hot/cold water, air conditioner, housekeeping, tea/coffee makers, safe deposit lockers, telephone with direct dialling, television with satellite connection, internet, etc. You will never regret your stay in these suites as they are very cosy, warm and inviting. The 24 hrs delectable multi-cuisine restaurant serves breakfast, lunch and dinner. A buffet is served according to the occupancy and a la carte menu is also available. The restaurant serves delicacies of Indian, Oriental, South Indian, Chinese and Continental cuisines. The food will really pamper your taste buds. Also be prepared for some exotic and exquisite dishes prepared by the chef of the restaurant. For sure the restaurant will delight the guests with many delicious delicacies.